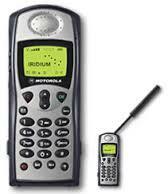 Part of Iridium’s industry-leading handset portfolio, Iridium 9505A uses the power of the world’s furthest reaching network to provide truly global, high-quality mobile voice and data communications. Rugged and reliable, the Iridium 9505A is small and lightweight enough to be carried in a backpack and very easy to use. It helps users keep in touch even while on the move, everywhere on the planet.